Drake hopped on Migos' Culture II track "Walk It Talk It," and now the Toronto rapper and Atlanta trio have reteamed to treat that song to a video. 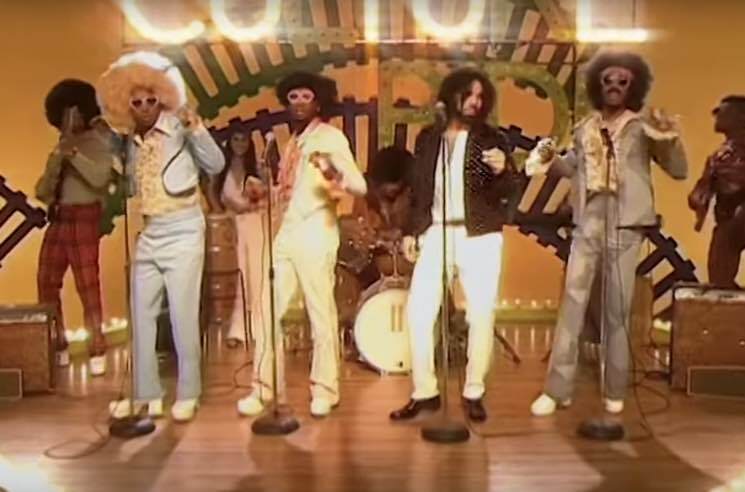 The clip travels back in time to the 1970s, paying homage to the heyday of Soul Train with a fictional show dubbed Culture Ride. Drake's not the only famous friend they roped in for the video; there are also cameos from Jamie Foxx and Lil Yachty. It's hard to tell whose retro look is most impressive — though, certainly, none of the outfits or wigs disappoint. If you don't want to take our word for it, just ask Cardi B, who praised the clip on Instagram last night (March 18). Get on board and go for a Culture Ride by watching the video for "Walk It Talk It" below, and order Culture II on triple red vinyl via Umusic here.